Salary: Rs. 9300-34800/- with G.P. of Rs. 4600/- in PB-II (Pre-revised), Level-7 in 7th P.R.C. i.e. Rs. 44900 – 142400. Salary Rs. 9300-34800/- with G.P. of Rs. 4200/- in PB-II (Pre-revised), Level-6 in 7th P.R.C. i.e. Rs. 35,400 – 1,12,400. Salary: Rs. 9300-34800/- with G.P. of Rs. 4200/- in PB-II (Pre-revised), Level-6 in 7th P.R.C. i.e. Rs. 35,400 – 1,12,400. Educational Qualification- Graduation Degree, Typing Knowledge. Age limit: Minimum age- 18 years Maximum age- 35/38/40 years as on 01/08/2108. Application fee for General candidate-: Rs. 500/- (Five Hundred Rupees Only) , Application fee for SC/ST Candidate-:Rs.125/ (One Hundred Twenty Five Only). Fee to be paid online through Credit Card/ Debit Card/ Net Banking. 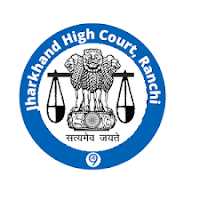 Interested and Eligible Candidate can apply online at Jharkhand High Court recruitment website from 08/10/2018 to 23/10/2018 only. Kindly visit Jharkhand high Court official website https://jharkhandhighcourt.nic.in for complete information and online Application form submission details.